A laminated Model of the Tabernacle. 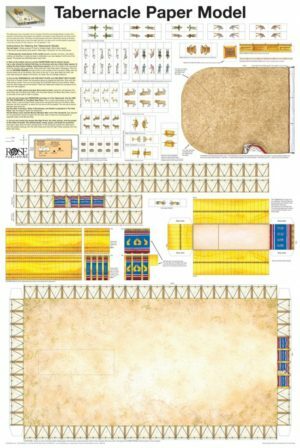 Here is a full-color scale model of the Tabernacle, the Holy of Holies, the Ark of the Covenant, the High Priest, and all of the animals and furnishings. Just cut out the 60 figures.